Leo Varadkar said that he'd spoken with Minister Regina Doherty about the complaint made to gardaí. TAOISEACH LEO VARADKAR said in the Dáil today that Minister for Social Protection Regina Doherty made a complaint to gardaí about criticisms made by a blogger because she “felt that she was being harassed”. Last week, it emerged that a complaint was made against Tyrone-born academic Catherine Kelly, who had written an article about Doherty’s financial history earlier this year. Writing on the Jude Collins blog, Kelly claimed she was recently approached by gardaí from Pearse Street Garda Station who, upon confirming her identity and her Twitter handle, cautioned her about her social media posts and online articles which referenced Regina Doherty. She said that she was stopped by the gardaí while passing through Dublin Airport. Last Monday, a spokesperson for Doherty confirmed to TheJournal.ie that a complaint was made to gardaí regarding a political academic. Questioned about the matter in the Dáil today, the Taoiseach said that he’d had a “brief conversation” with the Minister on that topic. Varadkar said: “I understand that she made a complaint to the gardaí with regard to harassment, and the gardaí thought it sufficient to caution the individual against whom the complaint was made. This is clearly a private matter. It is not one of public policy. It is one involving two individuals – one individual who felt that she was being harassed by another. The gardaí, based on the evidence that it saw, decided to take the action that it did. He advised the questioner – Sinn Féin’s Mary Lou McDonald – to take the matter up with Minister Doherty, if she had any further questions. This is not the first time that the issue has cropped in the Dáil chamber, with Solidarity-PBP’s Ruth Coppinger last week describing Kelly being stopped at the airport as a “sinister and chilling experience”. Email “Taoiseach says Minister Regina Doherty 'felt she was being harassed' by blogger”. 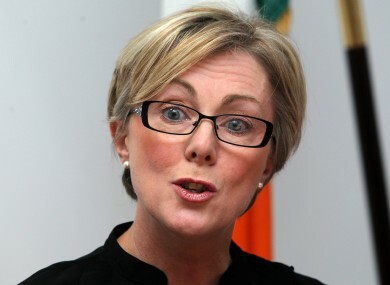 Feedback on “Taoiseach says Minister Regina Doherty 'felt she was being harassed' by blogger”.